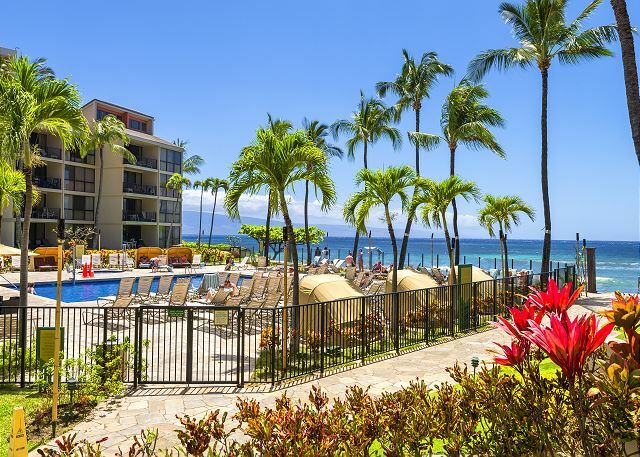 Experience the essence of Hawaii at the Kaanapali Shores Beachfront Resort located on legendary Kaanapali Beach. 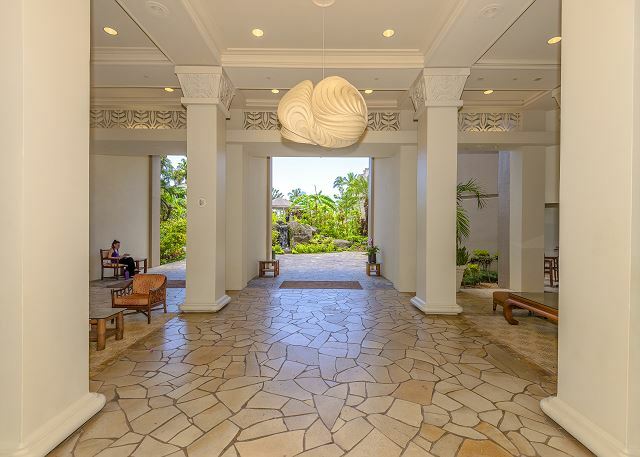 Kaanapali Beach has been named the “Best Beach in the World” by Conde Nast Magazine year after year. 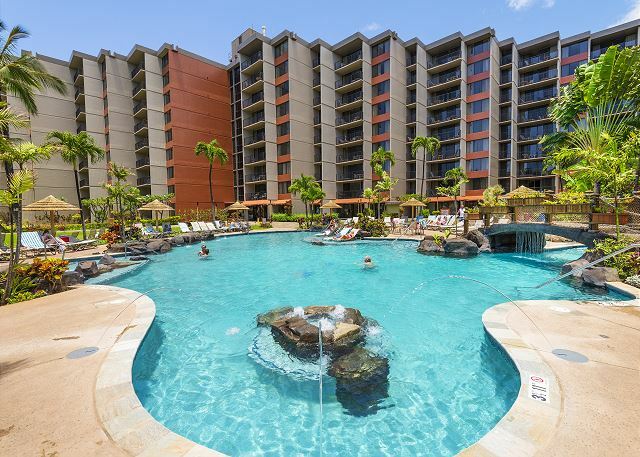 The breathtaking oceanfront Kaanapali Shores Resort provides a perfect setting for creating lasting memories. 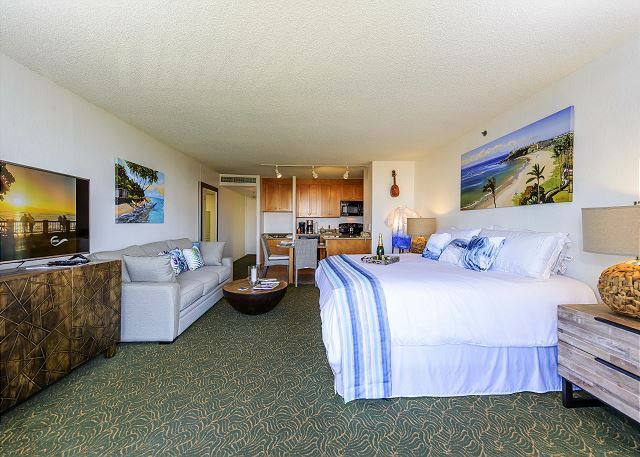 Kaanapali Shores 538 is an elegant, newly designed luxury studio condominium. 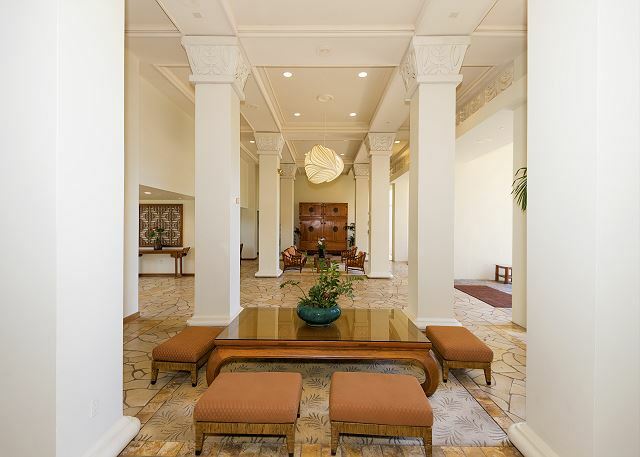 Interior furnishings were selected by a prominent international architect and feature modern style with an appreciation for the Hawaiian character that is unique to Maui. 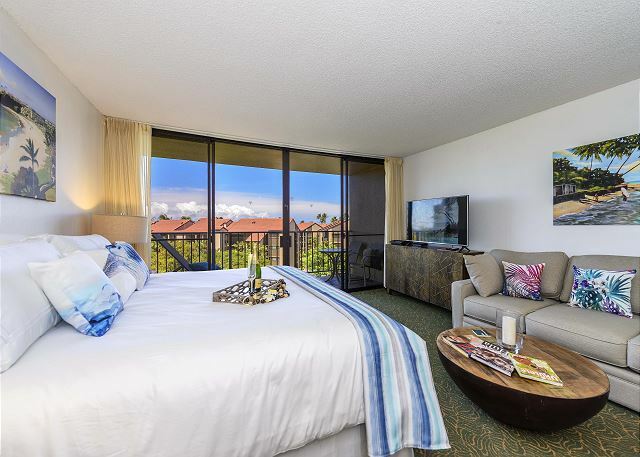 The ultra-comfortable King Size bed provides a deep restful sleep while wrapping you in luxury. 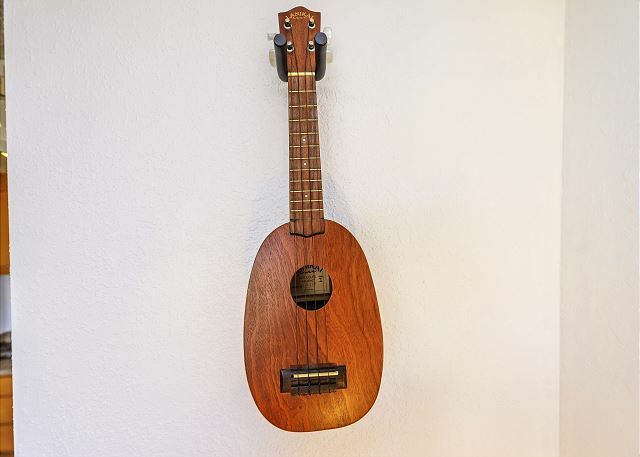 Enjoy the ukulele, Blu-ray movies shot in Hawaii, Hawaiian books, and classic tropical music on the vintage record player. 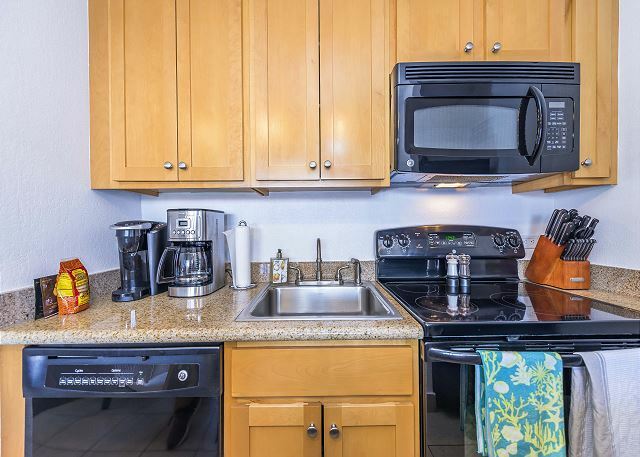 The kitchen is fully stocked with dishes, cookware, cutlery, glasses, a microwave, refrigerator, stove and dishwasher! 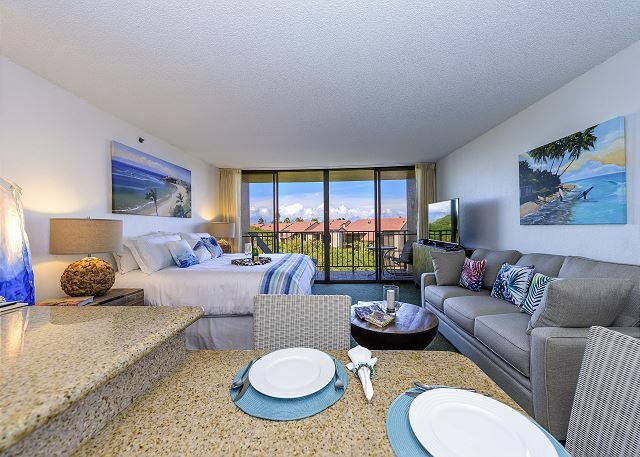 It is perfect for cooking a gourmet meal and dining on the lanai! BBQs are available for your outdoor enjoyment. If you don’t feel like cooking, the Beach Club Restaurant offers open air dining, ocean views and a great Happy Hour! 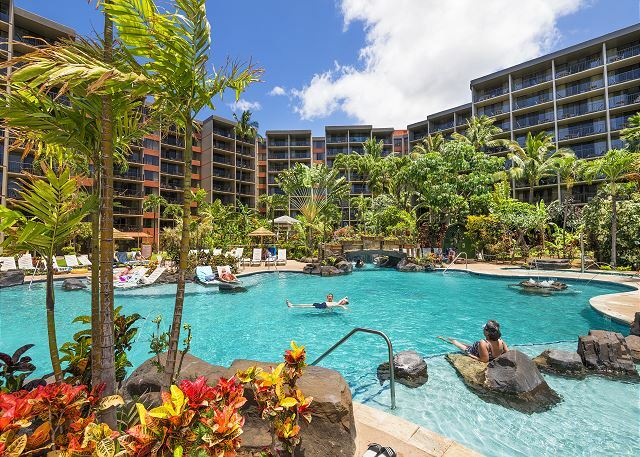 Kaanapali Shores exceptional amenities include two heated freshwater pools, two Jacuzzis, Coffee Shop, Beach Club Restaurant, Activities Desk, laundry facilities, Fitness Center and Sauna, Spa, Beauty Salon, Gift Stores and Red Box Movie Rentals. 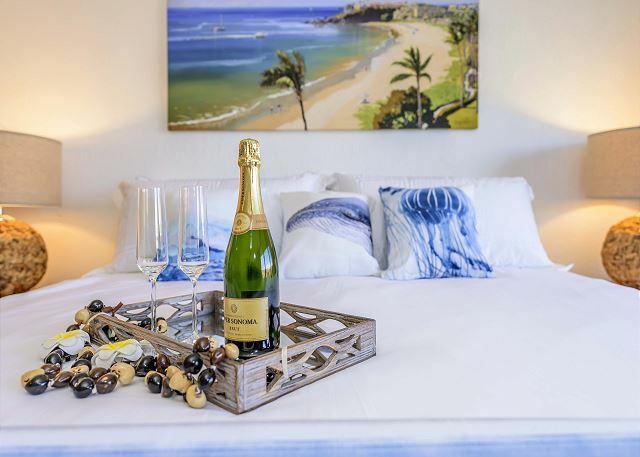 Savor tropical cocktails at the new Ocean Pool Bar or poolside at the beachfront pool and marvel at panoramic views of the islands of Lanai and Molokai. 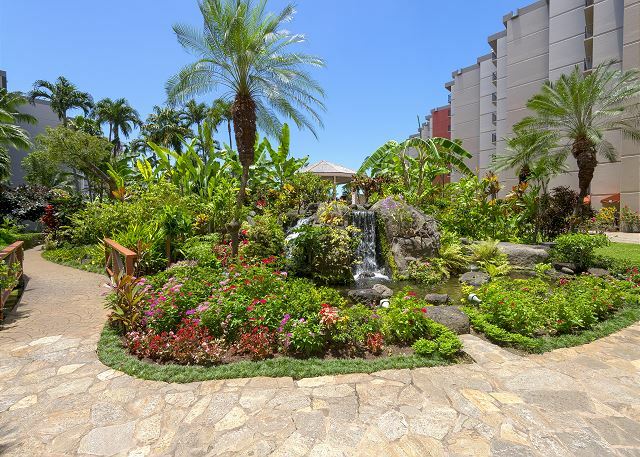 The Garden Pool has been renovated with an array of exciting features including a new hot tub, multi-color LED Lighting at night, waterfalls, beautiful tropical gardens and other aquatic features. 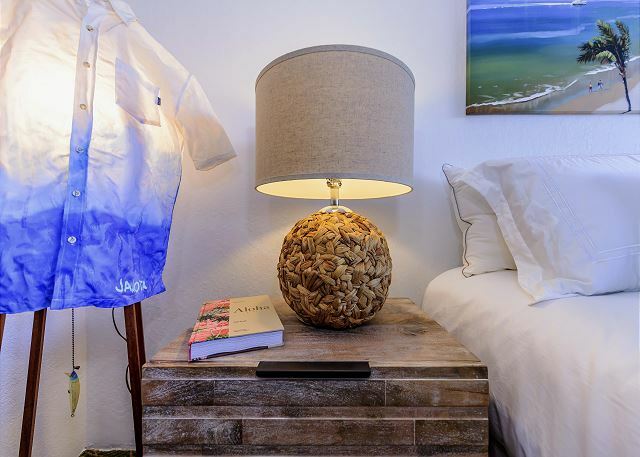 You can indulge in gourmet cuisine, fused with island flair at nearby oceanfront restaurants. 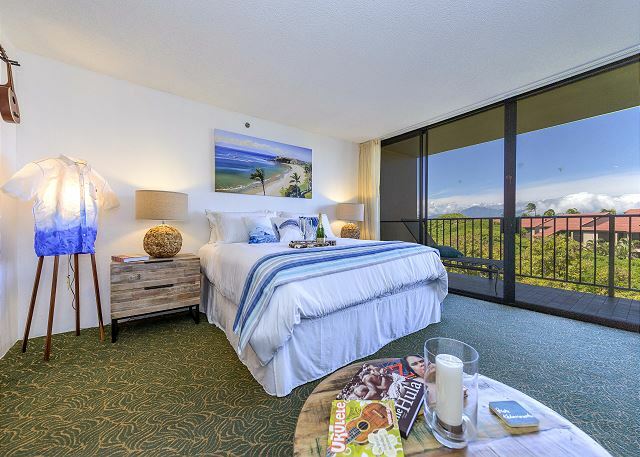 Dukes is a 5 minute walk from the Resort. 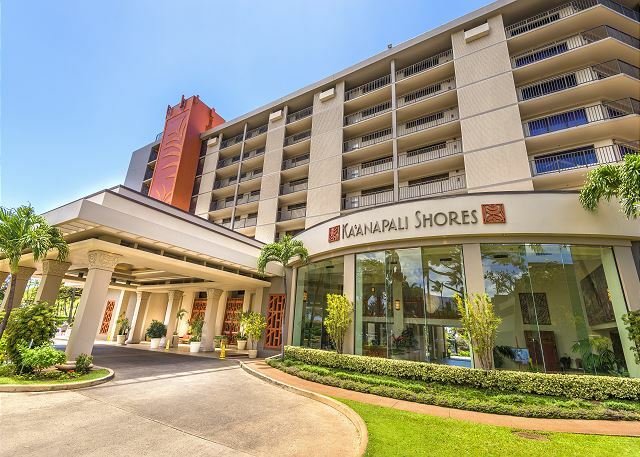 Kaanapali Shores is located 5 minutes from Kapalua Bay and Napili Bay (a famous snorkeling spot). 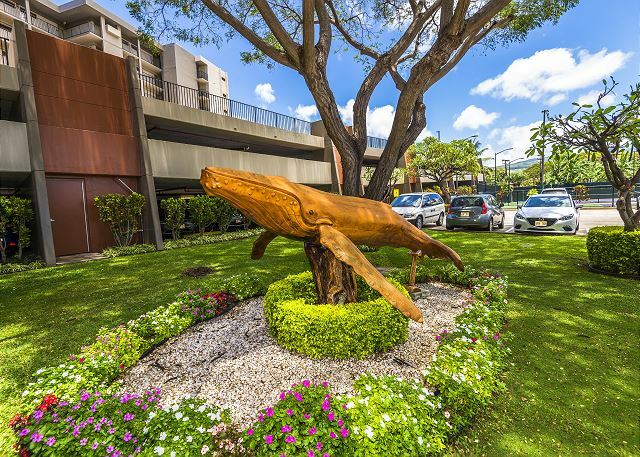 Whaler’s Village Shops and Restaurants is a 5 minute drive. 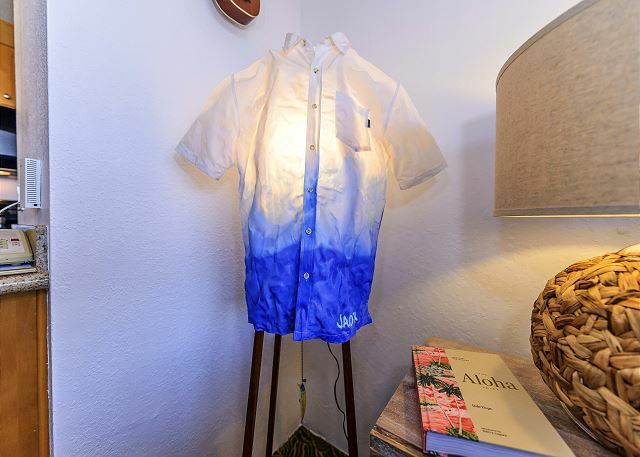 Downtown Lahaina is a 10 minute drive. 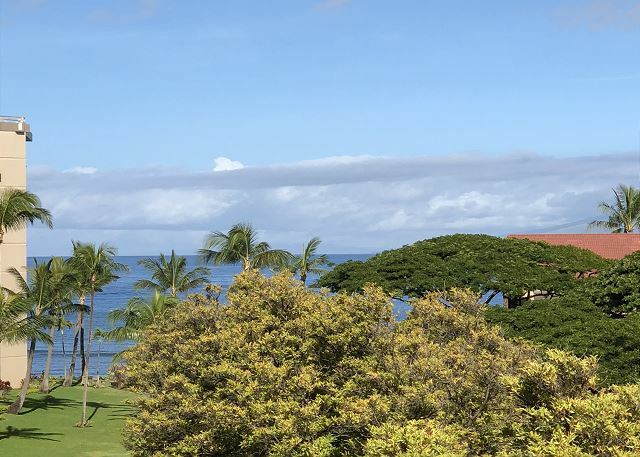 Maui offers a stunning array of tropical landscapes, from rain forests to volcanic landscapes, and outdoor activities. 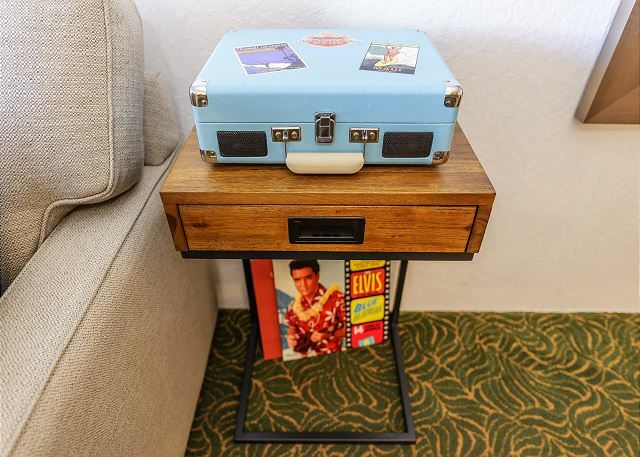 Check off the most thrilling items on your personal bucket list – or maybe add some new experiences by visiting the Activities Desk in the Lobby. 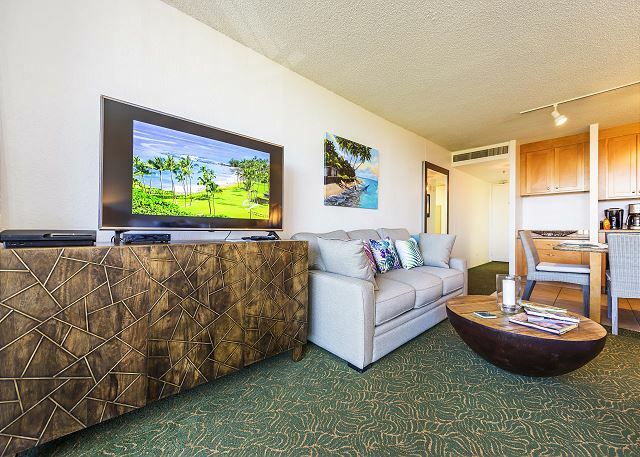 Detailed features of this well equipped unit include: luxury king size bed with artistic accent pillows, free WIFI and internet access, 50 inch HD TV, PlayStation 3 with assorted games, Blu-ray movies that were shot in Hawaii, Hawaiian books on music and culture, ukulele with beginner’s music book, record player with Hawaiian albums by Elvis Presley and Don Ho, paintings of local Maui scenes by local artists, Hawaiian Shirt Lamp by the architect/artist/owner, new modern furniture reflecting Maui Island Style, high quality coffee maker-toaster-tableware-knife set, well appointed bathroom. 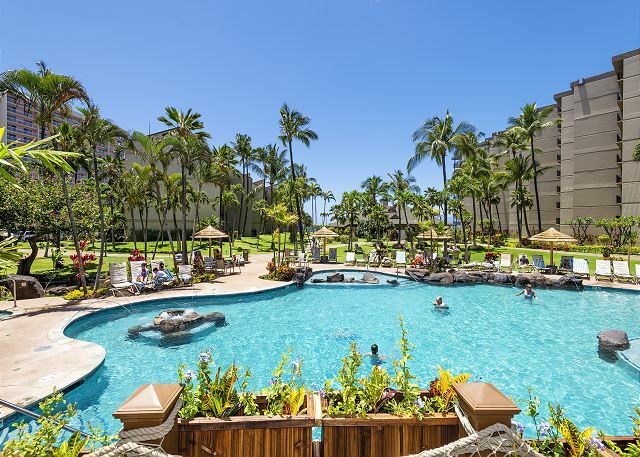 Disappear and rediscover yourself in Maui’s turquoise waters, flowing palms and lush tropical landscapes at the Kaanapali Shores Resort. 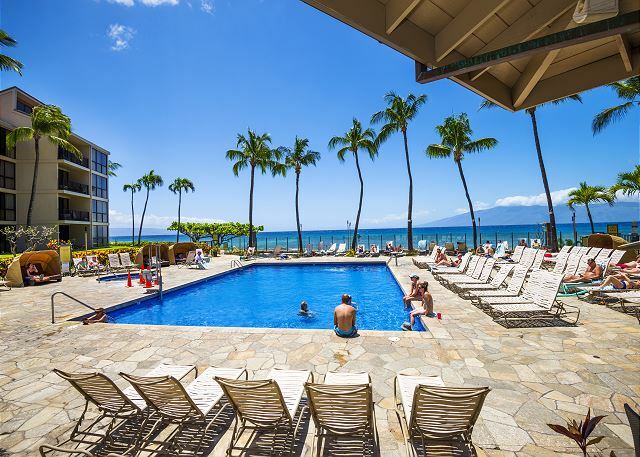 *Please note the Kaanapali Shores Resort charges a $9 per day parking fee. 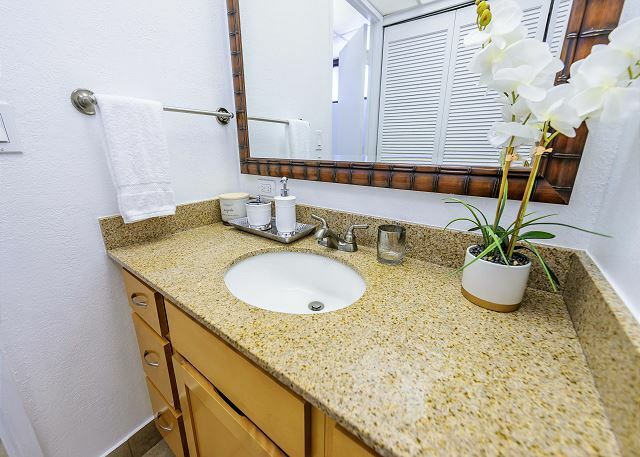 Nice condo at resort with lots of amenities. 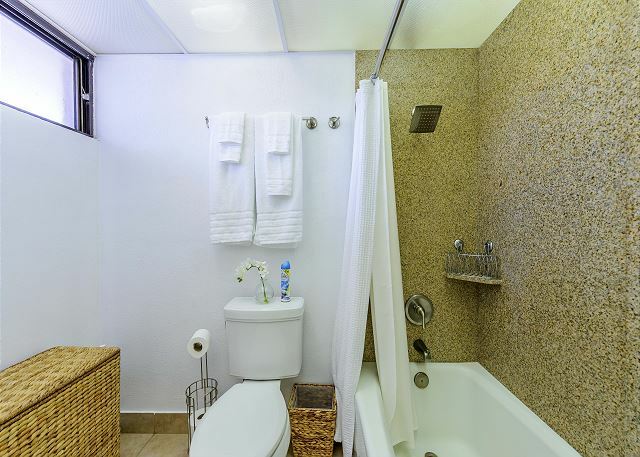 Nice condo with partial water view. Very comfortable bed. Nice extra touches with coffee pods and local cookies. 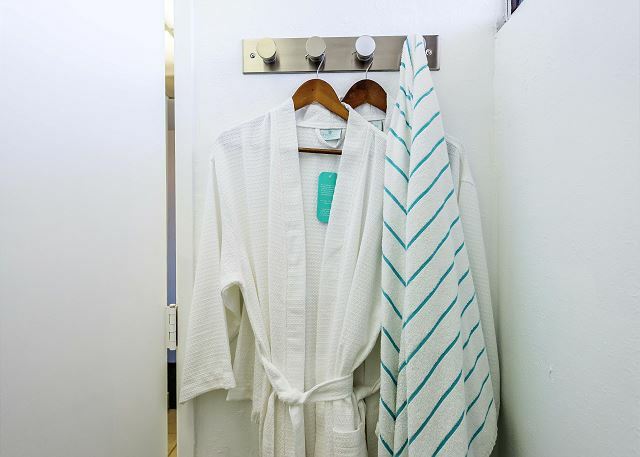 Great amenities at resort. Would stay here again. 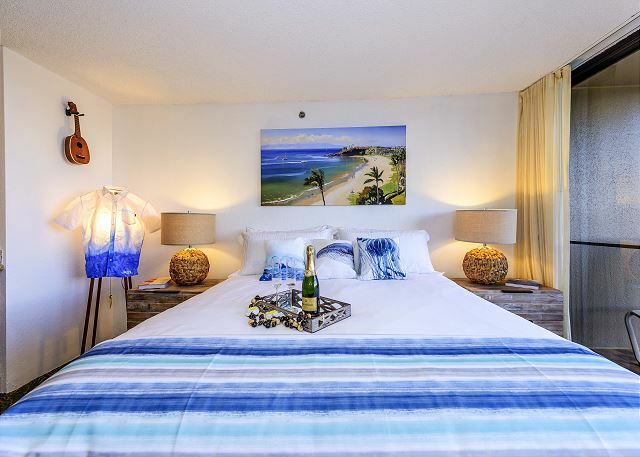 4/5 stars Review by Brittany S.
Great location!! Management was easy to get a hold of with any questions and concerns. Easy check in. 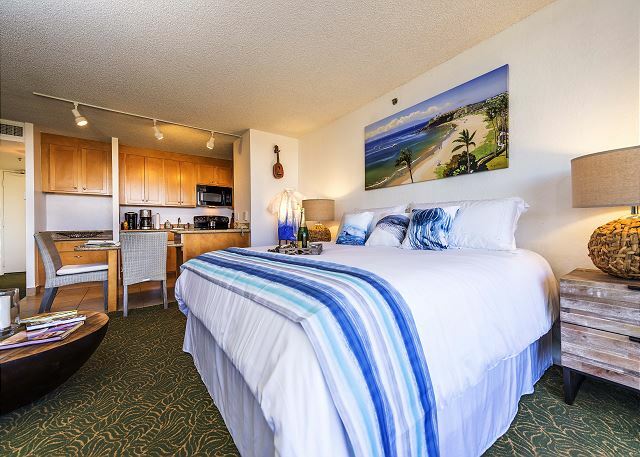 This is in a great location at the north end of Kanapali Beach. My first impression of the condo was "old" and "used" but that was the cooped up smell of a suite with all the windows shut for too long. Once we got a cross breeze going it was fine. The management went out of their way to help us. I would happily stay here again. 4/5 stars Review by Janelle Z. 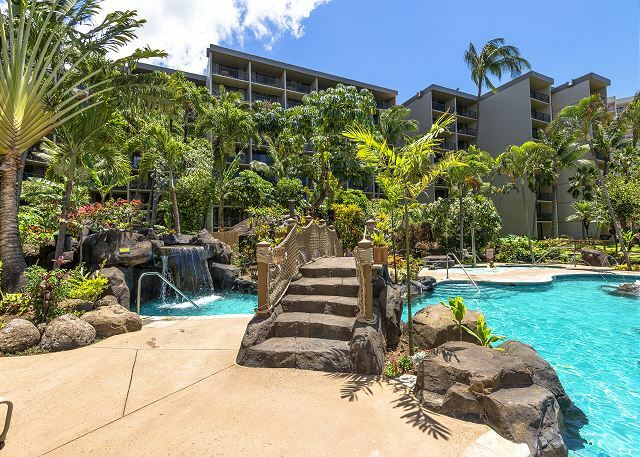 This was a great place to stay for our vacation to Maui. The two pools were wonderful! We tended to use the garden pool more often since it was more shallow for our 6yr old. The condo itself was nice but definitely more designed for two people so was a challenge with meals for 3 of us. While having the kitchen was great, there could have been some bigger bowls t8 make salads and stuff for meal times but otherwise was great! 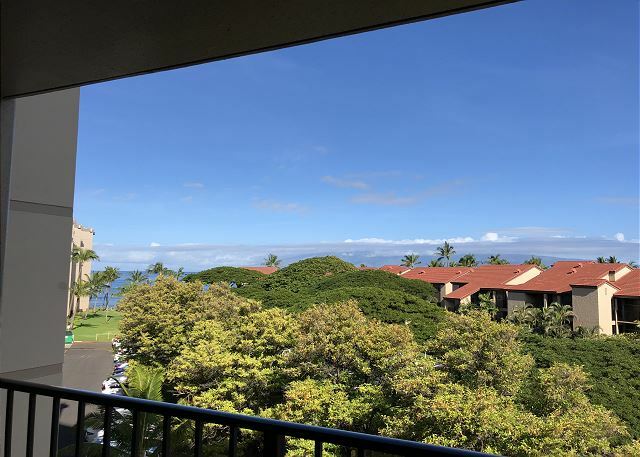 Loved making a cup of coffee in the Keurig and sitting on the lanai in the morning. We did have one issue with the door lock somehow deleting our lock code but got help immediately to get us into the condo. Communication was prompt and helpful. The check-in and check-out process went smoothly. 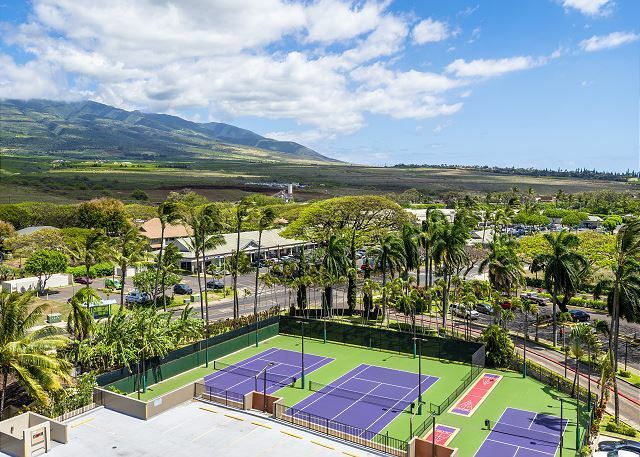 The location is great - being right across from a supermarket and a ten-minute drive to Lahaina is very convenient. I'd guess the only con, which was known ahead of time, is that there is no in-unit laundry. 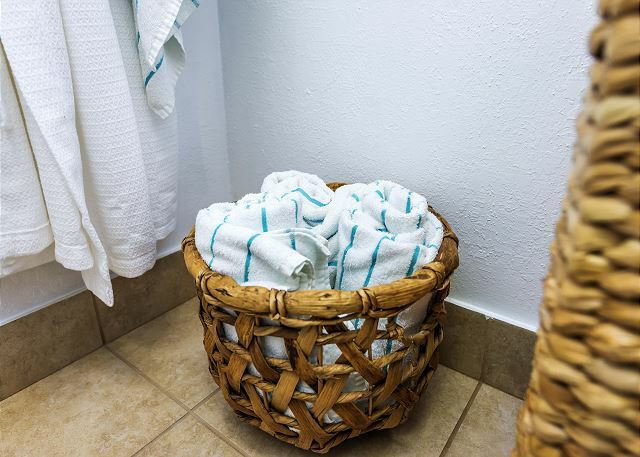 There are communal laundry rooms, though, so ultimately it wasn't too much of an issue. Overall, we got a great place for a great price! 5/5 stars Review by Hip Nghia N.
Epic was great to work with. Great communication! 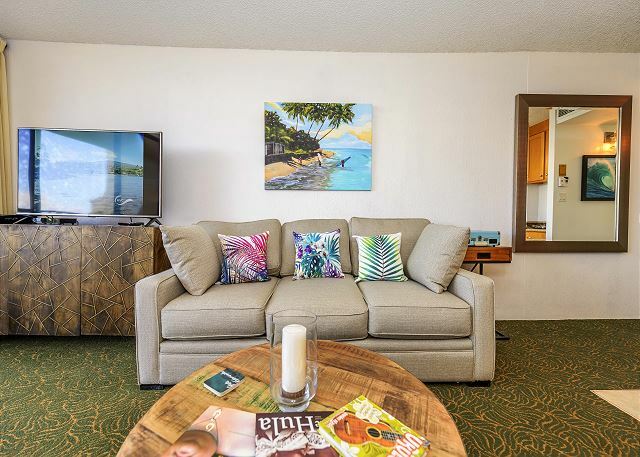 Stayed at Kaanapali Shores. 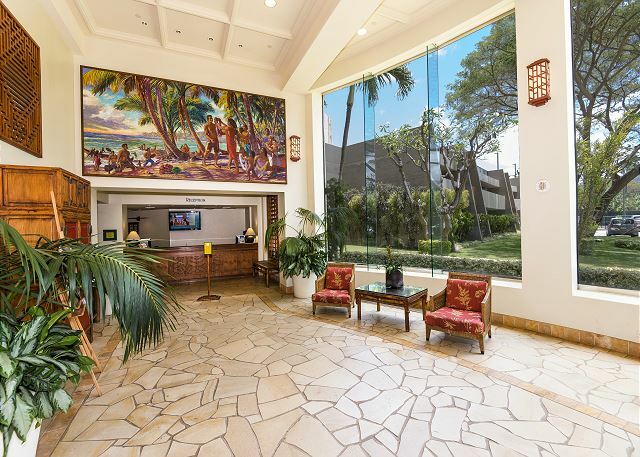 Great location with a restaurant/grille and pool service. 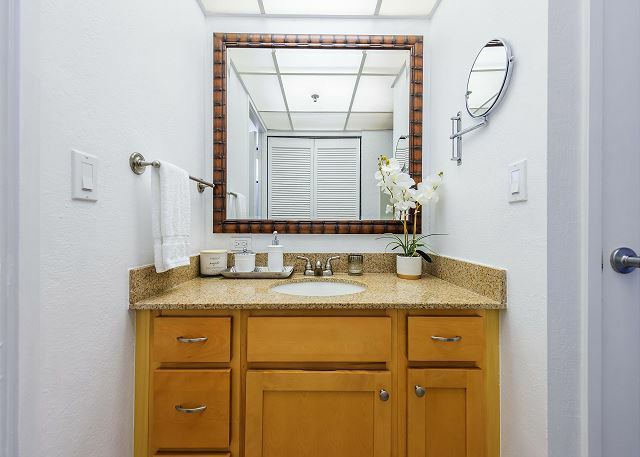 Unit location was not the best but the unit itself is nice at this price.